Immaculate Brick Ranch! 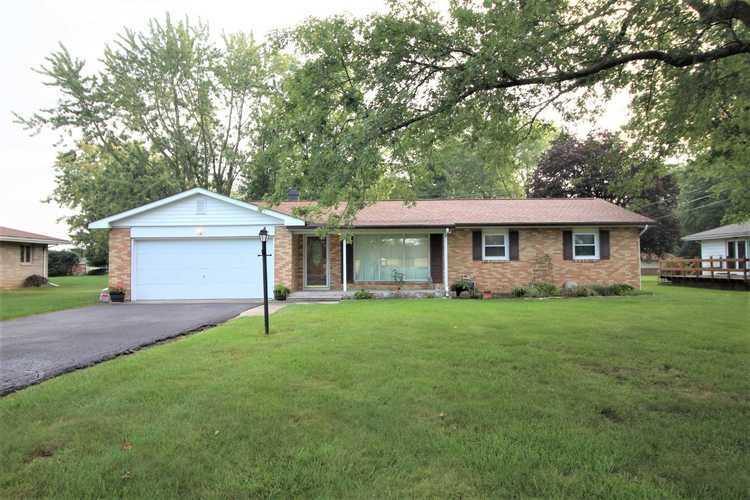 Pride of ownership shows in this well maintained 3 BR, 1.5 BA home with 2 car attached garage. You will love the large open concept, eat-in kitchen with built in buffet, breakfast bar and appliances open to the family room with Pella sliding door to the patio and perfect sized back yard. The large great room has a picture window looking onto the covered porch perfect for a swing and watching sunsets. This home has updated flooring including new vinyl plank tile in the entry and kitchen, and newer carpet in the great room over original hardwoods that continue into the bedrooms. The laundry room is large with floor to ceiling built in cabinets for storage. Additional updates include GFA furnace in 2013, dimensional shingle roof, double hung replacement windows, and beautiful new fiberglass front door with leaded glass. Directions:North on Bypass (Baldwin Ave or St Rd 9) Left on Wabash. House is on the right side before Chapel Pike.